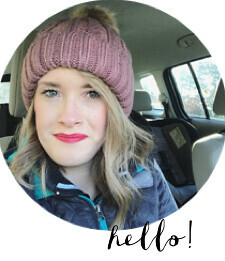 It's the Girl Behind the Blog link-up day, yahoo! Another video full of exaggerated facial expressions is coming at ya. I am super excited and honored to co-host with Ashley today as we talk about our passions outside of the blogging world. I shared a teeny bit yesterday about how I love to see people live out their passions. Whether they're all about music, or being a mama, or interior design, or running a soup kitchen - I get pumped seeing people doing what they love. It inspires me to embrace and live out what God has put inside of me. I blog because writing has always been a part of my life. I've jotted down stories in little notebooks since 2nd grade, and I secretly love writing essays (nerd). So I blog because it's one of my passions. But if you're a blogger (or a human), you probably know that people are multifaceted. There's more to blogger's than just their blogs! Music: JJ Heller "Grow" Chelsea's amazing blog with tasty recipes can be found here. Your heart and passion for being a mom is beautiful! I love that your passion is being a parent. Being a mom is such a beautiful ministry that the Lord calls us women to! and being encouraging is what the world needs, so I love that's what you love to do as well! I love your heart for parenting Nicholas and your heart or encouraging women. You. Rock. Wouldn't it be nice if they would just grow just by being around us ;) I definitely struggle with being intentional enough at times. I love encouraging people too and I agree sometimes I feel so cliche about it and tried to hide from that, but recently finally am excepting it and making it mine. Encouraging others is such a great passion and gift! I love people who love people! You are awesome, Mackenzie, and you are so well-spoken! SUCH AN AMAZING PASSION! There are so many women who need to be encouraged and that is such an important characteristic to be able to have! I love your heart!! You are so sweet and super encouraging. Thank you for hosting this month! Oh friend, I really do quite like you! I love how you're so intentional about parenting, and how you recognize that the beautiful call upon your life. I loved hearing about your passion for encouraging women! You do such a great job of it here on your blog and I'm sure in real life too. I just wanted to say thank you for your kind words on my blog! I honestly have been so encouraged by this linkup. I am getting so much encouragement from so many women already, just from this linkup. I am blown away by the opportunity that this has provided for me to network with other set apart young women and make new friendships! I pray that the Lord would use this for linkup for our good and His glory! You know, I think your love for talking to people is absolutely amazing. This might sound funny, but I am so fascinated when you speak because you have such a way of grabbing my attention and speaking straight truth. Eloquent + bold. Your passion is amazing and I cannot wait to become a parent someday and share that passion for raising kids! And I definitely think encouraging and connecting with others is a passion and something that I can tell you're talented at. :) We definitely need more women like that to help create a stronger female/blogging/women of God community! I can so relate this! I've never been much of an athletic or musical person but I love to connect with other people! That's what drew me to your blog, your open and encouraging words and your gift of making people feel heard! That's just awesome the way the Lord has worked that into your heart. I know you are such a blessing to those around you! I'm so glad to have met you at Influence and then got to follow you on your blog since then! Thanks for hosting this topic! I can totally relate to being able to talk about being a momma for hours. There are so many different parts behind raising a child and I learn something new everyday! Glad to be following a Godly momma! :) And I'm the link that somehow managed not to be able to put a picture on it...oops! Great to see you :) I think all mom's go through seasons of no hobbies. Right now I have everything packed and put away in the basement. My hobby right now is blogging. Most of my time is spent being a mommy.